Just yesterday a dear friend of mine brought me a huge bag full of organic apples harvested from her brother’s apple tree. 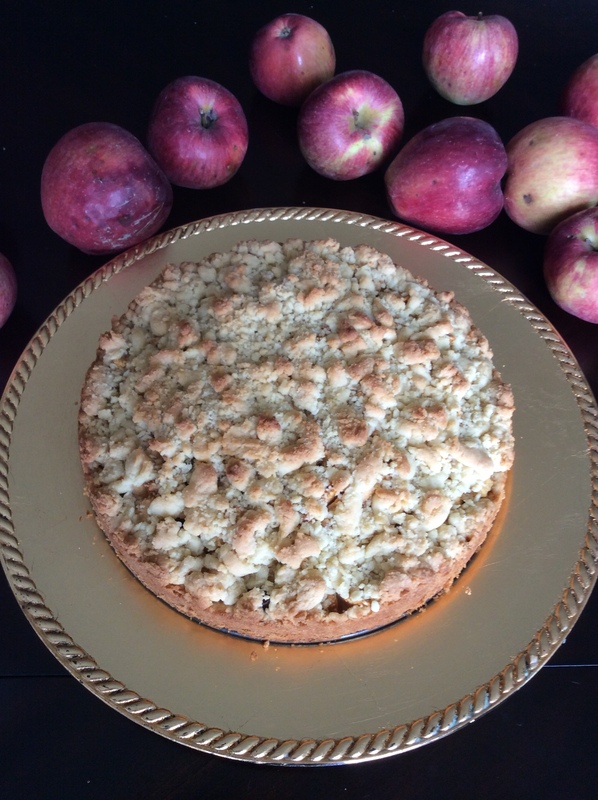 It would be impossible to eat them all before they spoiled, so I made this super easy and delicious apple crumble pie! Remove the butter from the refrigerator to soften. Put the raisins in warm water to soak. Peel the apples, cut into little cubes, and sprinkle with lemon juice to prevent browning and brighten the flavor. Mix the softened butter with the sugar and almond flavoring. Then add the egg and pinch of salt. Finally, add the flour. Stir the mixture very little (it should remain crumbly) and put it in the fridge for at least half an hour to chill. Grease a 9″ round baking pan. Drain the raisins and apples, pat them dry, and then mix them together. Press half of the dough into the base of the pan (do not be afraid to use your hands! ), making sure to cover the edges by about an inch. Then spread the mixture of apples and raisins on top. Finally, crumble the remaining dough. Bake at 365 degrees F for about 50 minutes (on the middle rack). Tips: This pie tastes even better the day after making it, so don’t be afraid to make it ahead of time.